Usually, it is that little unique touch in a dress that makes it stand out to the eye. 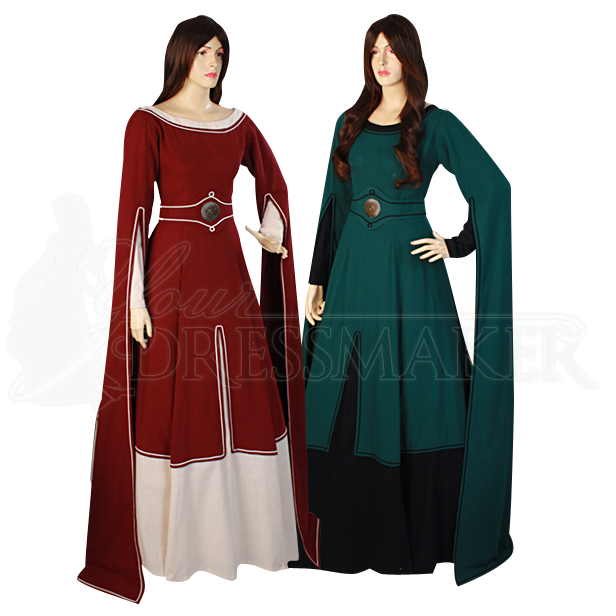 And in this Draped Sleeve Medieval Dress, that feature is the floor-length sleeves, which give this dress a look fit for any noble maiden or royal princess. The dress is beautifully styled, possessing just the right amount of accent to best enhance any maids look, without overpowering her natural beauty. The dress is a one-piece garment that is made entirely from natural cotton, which helps to give it a lovely look and a comfortable fit. The dress has a two-toned design, thanks to its coloration, which consists of a chosen color and an accent. 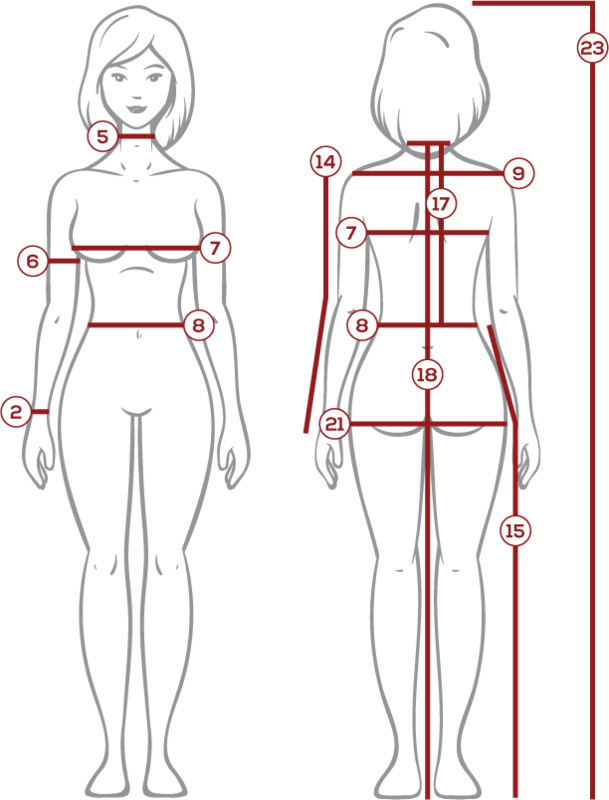 The body of the dress, including most of the skirt, is the primary color, while the hem of the skirt, the line accents, and the collar, are the chosen accent color. 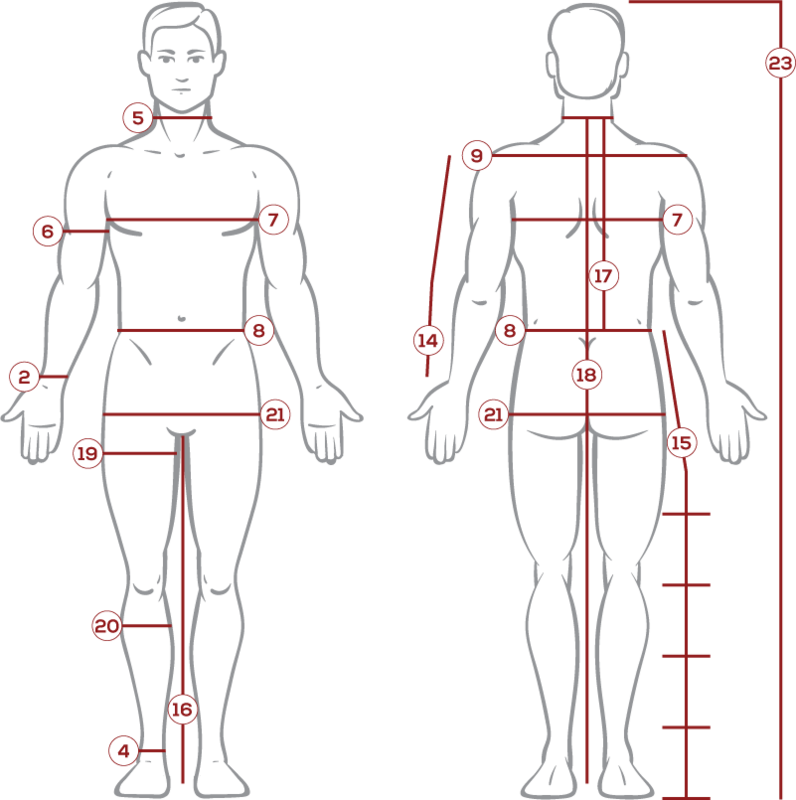 The body is available in several shades, while the accent is available in either black or white. The floor-length sleeves are opened at the elbow, for easy movement. The dress features lace closures in the back, for easy wearing, and it also includes a cloth belt to help bring it in around the waist. Please note that the dress above is pictured with an A-Line Petticoat worn underneath, to give the dress shaping (this is not included, but can be purchased separately as item MCI-145). 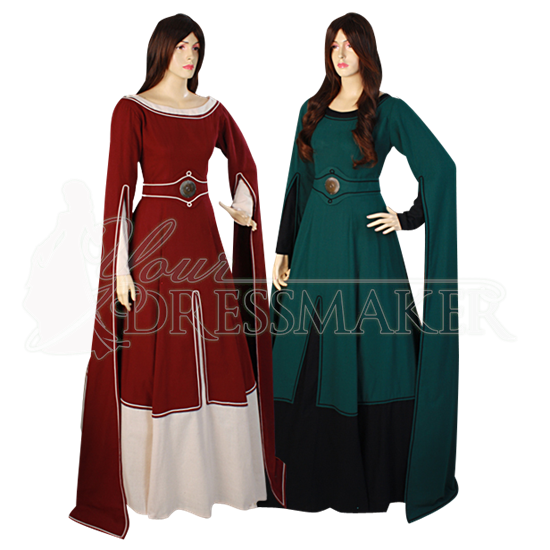 The long, flowing sleeves and elegant design of this Draped Sleeve Medieval Dress make it a rustic yet versatile garment that suits princesses and paupers both, allowing it to be worn easily no matter what look you might be going for.